WISMEC LUXOTIC SURFACE, the smallest squonk box with 0.49inch OLED screen, is compact and ergonomic enough to lead the vaping industry. Powered by single replaceable 18650 cell, WISMEC LUXOTIC SURFACE is capable of firing up to 80W, offering you more powerful output than ever. Smallest single battery squonk mod with 0.49inch OLED screen: the single 18650 battery mod WISMEC LUXOTIC SURFACE with 0.49inch OLED screen is super compact in size, defeating all the squonk boxes in the e-cig market. Food grade silicone e-liquid bottle, easy to squeeze: featuring the soft food grade silicone bottle, the squonking is quite easy. Simply squeeze the bottle, the WISMEC LUXOTIC SURFACE will feed e-liquid via the specially designed squonk system directly into the bottom-fed atomizer. Powered by an upgraded Avatar Chip with max power of 80W: Avatar chip is known for its excellent and the utmost quality and stability, providing you more powerful output than you can imagine. Instant fire, faster than ever: with the rapid, stable yet safe firing rate of 0.001s, the quick heating system will bring you rich flavor and dense clouds with the very first puff. Multiple circuit protection system applied: the WISMEC LUXOTIC SURFACE comes with multiple circuit protection systems, realizing overall protection of the device, which make it much securer and more reliable. 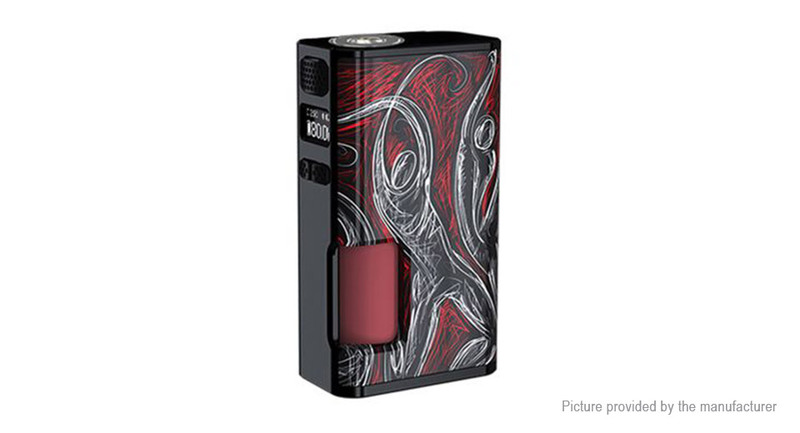 Gorgeous colors and patterns, colorful vaping life: the attractive side cover is replaceable, and you can update the box mod whenever to your preference. Charging: please take out the cell and charge it through external charger.